There are several reasons for testing the fitness of children in schools, as detailed later in this post. Despite these reasons fitness testing in schools remains up for debate. In this blog, adapted from Promoting Active Lifestyles in Schools, we’re going to look at some recommendations and practical ideas to help you make a decision about the use of fitness testing in schools. Physical fitness has been defined as a set of attributes involving the ability to perform physical activity. It’s often described in terms of health-related or performance-related aspects (Caspersen, Powell & Christenson, 1985). The health related parts are usually associated with specific health outcomes. These normally include cardiorespiratory fitness, muscular strength and endurance, flexibility and body composition. 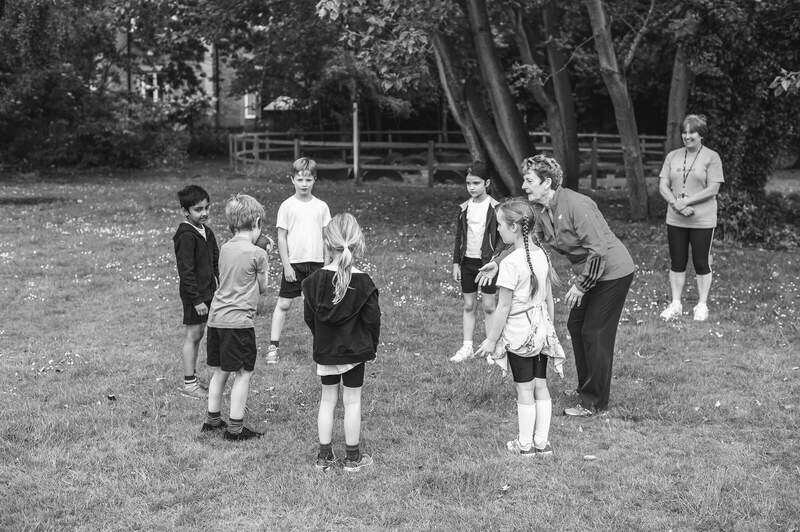 The authors of Promoting Active Lifestyles in Schools, Dr Jo Harris and Professor Lorraine Cale have said that ‘fitness tests simply determine the obvious, at best only distinguishing the mature or motivated from the immature or unmotivated’. As well as those ‘blessed with fit genes and those not so blessed’. Although these disadvantages aren’t particularly problematic on their own, they’re extremely relevant when promoting learning through fitness testing. When trying to interpret results, this is especially significant. It’s important to know what information, key messages and feedback to relay back to your students. Additionally, many of the concerns raised about fitness testing in schools aren’t necessarily about the tests or monitoring, but how it is carried out. Other concerns about the use of fitness testing in schools include the purposes of monitoring and potential negative consequences for students. It can give the impression that physical fitness is more important than health and physical activity. Leading to an overemphasis on fitness and performance, rather than on health and physical activity. However, it’s also been argued that the goal should be to influence the process of physical activity rather than the product of fitness (Cale & Harris, 2009b). Other concerns have been raised about some of the common assumptions underlying fitness and fitness monitoring, the messages these assumptions might generate and any possible consequences for students. Firstly, there’s little evidence to support the commonly held view and rationale that fitness monitoring promotes healthy lifestyles. As well as the thought that physical activity motivates young people and develops the knowledge and skills that are important to sustain engagement in an active lifestyle (Cale & Harris, 2009b). In opposition, other researchers have expressed concerns that fitness testing can be counterproductive in achieving this goal. It can be unpleasant, uncomfortable, embarrassing and meaningless for many children. Also, scores can be inaccurate, misleading, unfair and demotivating. (Cale & Harris, 2009b; Keating, 2003; Rice, 2007; Naughton, Carlson, & Greene, 2006). This concern led Harris and Cale to conclude that fitness testing might represent a misdirected effort in the promotion of healthy lifestyles and that time could be better spent elsewhere. Another common assumption is that children’s fitness primarily reflects the amount of physical activity they do. Therefore, those who do well in fitness tests are active and those who do poorly may be more inactive. In reality, the relationship between physical fitness and physical activity is low among children. A child’s activity level cannot be judged from his or her fitness level (Cale & Harris, 2009b). Whilst physical activity can have a positive and important impact on an individual’s physical fitness, it is also influenced by various other factors, including maturation and genetics. To read more on maturation, check out our recent blog post from Dr Melitta McNarry entitled Maturational threshold in young athletes – Are we missing the point? Theoretically, fitness testing can be used to promote safe and healthy practices. However, some of these involve children performing tests that arguably violate healthy behaviour and to some, common sense (Cale & Harris, 2009b). For example, questionable practices cited in one study, included the use of maximal fitness tests, the public posting of test scores and the monitoring of pupil’s weight or body composition (Cale, Harris, & Chen, 2014). Concerns about using the multistage fitness test with children focuses on the fact it was developed for use with elite athletes. It carries an element of risk and can be overly public, plus it is often misused. This can lead to the embarrassment of some children (Cale, 2016). Displaying fitness test scores for comparisons seems inappropriate given the many factors that can influence performance and test scores (Cale, Harris, & Chen, 2014). The third area of concern—the weighing and measuring of children—is clearly a sensitive issue. This practice can lead to body dissatisfaction, development of harmful relationships with food and even eating disorders. Something which is a serious and increasing problem in many countries, including the UK. It’s particularly prevalent among adolescents, more specifically adolescent girls. Cale and Harris (2009b) have argued that ‘it is not necessary to measure any individual to tell them something that they already know, and more importantly, no child needs to be measured to be helped to enjoy being physically active’; moreover, ‘overemphasising “fat” measurements may simply contribute to a mental health problem or to a physical health issue’. The practice of applying norm-referenced or criterion-referenced standards when interpreting fitness test results is common. Normative standards involve comparing a child’s score with that of a reference group. Whereas, criterion-referenced standards are absolute and specify the minimum levels of fitness thought to be required for health. Criterion-referenced standards are considered most attractive from theoretical, pedagogical and philosophical points of view. This is because they clearly identify a level of fitness that is thought to be sufficient to maintain health. They are also informative in categorising individuals as either working towards or exceeding minimum standards. However, at the same time, the use of both is subject to limitations. For example, the validity of some criterion-referenced standards is questionable and may seem somewhat arbitrary. This could provide some pupils with little incentive to move towards meeting the required fitness levels. Furthermore, the use of criterion-referenced standards could lead to misclassification of fitness levels. Norm tables are also limited in that they do not indicate desired levels of physical fitness or provide diagnostic feedback about whether one’s fitness level is adequate. In addition, they imply that ‘more is always better’. These issues and concerns have not been included to put you off monitoring children’s fitness. But to highlight the fact that the positives of monitoring (including learning) can’t be taken for granted. Plus there are things that you need to be aware of when monitoring children. It’s been argued that the fear of fitness assessment shouldn’t be allowed to outweigh the potential benefits and value it has for students. Therefore it’s important that, rather than being overly critical of fitness testing, we should reflect on and promote good pedagogical practice in this regard. Of course, the general consensus from various sources seems to be that if fitness monitoring is used appropriately and incorporated as a component of a broad health education programme, it can serve as a valuable part of the curriculum. It can also play a role in supporting healthy lifestyles and physical activity (afPE, 2015a; Cale, 2016; Cale & Harris, 2009a; Lloyd et al., 2010; Cale, Harris, & Chen, 2014; Rowland, 2007; Silverman, Keating, & Phillips, 2008). And help promote healthy, active lifestyles. In terms of developmental appropriateness, it’s questionable whether fitness monitoring and testing are appropriate for primary school children (or children under the age of nine). In 2015, in response to a recommendation to introduce fitness testing in primary schools, the Association for Physical Education (afPE) published a position statement. It said that it didn’t support formal fitness testing in primary schools. The group considers such testing to be a backwards step in terms of promoting healthy and active lifestyles. For tips on implementing fitness testing using Fitnessgram, check out The PE Specialist’s blog post, How do you do fitness testing in PE. Fitness testing in schools is commonplace but it remains controversial. The reasons for monitoring and testing children’s physical fitness have been heavily discussed. Your decisions about fitness monitoring should be informed by the critique of fitness monitoring. This can help you address issues related to the purpose and implementation of monitoring and testing. As well as, the interpretation and use of the data. If fitness testing in schools is used appropriately, subjected to informed critique and incorporated as just one aspect of a broad and holistic health education programme, then it can serve as a valuable part of a curriculum. Also, it can play a role in supporting healthy lifestyles and physical activity. Recommendations, guidelines and practical ideas are available to help you implement fitness monitoring and realise its potential to facilitate pupils’ learning. With this guidance and support, you can adopt a healthy, activity-promoting approach to fitness monitoring. Is there an app that could count the tests that are unreliable? Like counting Curl-Ups or Push-Ups? We’re not aware of any apps. But pupils should be encouraged to count honestly/accurately, this can be done in pairs or with a teacher/adult observing. The accuracy of the test scores doesn’t have to be the main objective, it can be more of a learning objective than a research study. The main objective should be the learning that goes on and as long as the student understands that they are aiming to increase their own scores in the future, they will appreciate the importance of being as honest/accurate as possible. JB Starkey, @AssessLinkPE , has been working on a program (not an app) that can analyze movement called Assess Link PE. Not sure of the all the skills that it can assess but it seems that it can only record one student at a time. Great find, Sean – thanks! I was attracted to reading this article because a colleague and I are having an on-going, friendly debate about the necessity of fitness testing generally, and in particular for the promotion of motivation toward physical activity. That’s another discussion, but equally as relevant is this article for the practice of fitness testing in schools. I am in the ‘Definitely not! What! Are you crazy?? ?’ camp. I think you’ve made some good points about the disadvantages, and I like all of those, but I’m still feeling a little disconcerted by the conclusion that it can still be a tool for good. And here’s where I think some comments against it get a little glossed over earlier in the article. You mention that the cons identified by Harris and Cale are not ‘particularly problematic on their own’, to which I would argue that they are extremely problematic. You even accept this in terms of them being so for learning, in the same sentence. The issue I have with fitness testing is even greater with children than with adults, because it establishes in the early stages of development of this complex behavioural realm the idea of a biomedical reductionist philosophy for health behaviour; that you can measure ‘fitness’, attain a standard or not, and be fixed by following a certain pattern of activity. I’m afraid this sad, tired approach to promoting health and fitness in our population has failed spectacularly for decades, ever since the need to move more has been eroded by our labour-saving society. Now, I’m not against technological developments, but what I am against is this idea that because you can measure it, you should, especially when it appears you can’t necessarily do anything to improve it. And in this sense,I mean that we are making little or no impact on activity levels or the rise in obesity through the promotion of PA. At all costs, I believe we should be moving away from any kind of measurement of fitness in schools – and I think the concerns of Harris and Cale alone are important enough reasons to do so on their own. We need to create, in the minds of children, an idea that spontaneous, unregulated movement is a good thing, and that movement is a pleasure. The huge cognitive effort we have to overcome to decide to be more active as adults is a barrier these youngster will themselves have to overcome in the future. But by promoting activities that inspire fun, excitement, and enjoyment, I think a much larger proportion of the population will be more active in the future. We do not need to start measuring this – which in itself is problematic – at this age, with a view to making our ‘expert’ recommendations about how to come up to a standard.